Click here for the PDF version of the Media Kit. SPECIAL SECTIONS Special sections dedicated to a topic or industry important to the community. PEOPLE & PLACES Exciting news such as promotions, fundraising gifts, job announcements, and important who’s who and what’s what. VIPROFILES Conversations with Knoxville’s business owners, community leaders and philanthropists. THE ART OF LIVING Ideas & tips to make your event the party of the year! CALENDAR OF EVENTS Your comprehensive list of local events and charitable fundraisers. Keep vital information inside the live area. Other items should reach the bleed size. All ad material must be submitted by the 20th of each month for the next month’s issue. For customer-supplied ads, space must be reserved by the 20th and the camera-ready ad must be submitted by the 23rd. VIP Knoxville is printed on high quality, bright white, coated paper.We operate in a Macintosh OSX production environment. PDF files are preferred. Fonts should be embedded or outlined. Images should be CMYK and at least 300 dpi. EPS or vector files are preferred for logos. All photographs should be high resolution .jpg or .tif files 300 dpi or higher. 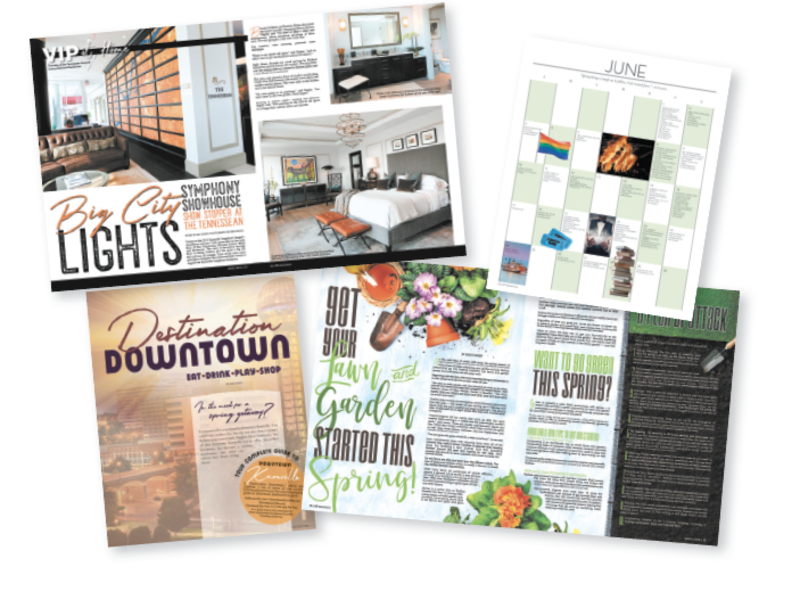 Print magazines inspire readers to take action. 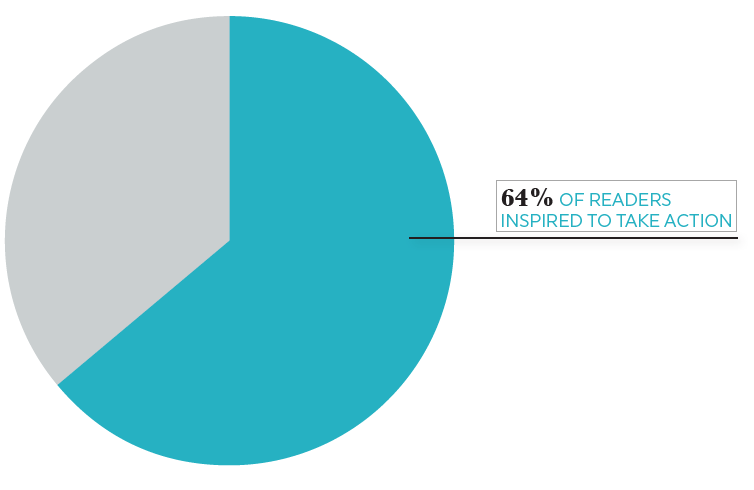 64% of readers are inspired to take action after seeing a print magazine ad. Knoxville Oral and Maxillofacial Surgery, P.C.